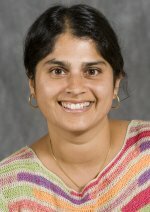 Roopali Phadke was a post-doctoral fellow at Harvard’s Kennedy School of Government from 2003 to 2005 when an intensifying civic struggle over a developer’s proposal to build the nation’s first offshore wind farm in Cape Cod caught her attention. The battle line between supporters and opponents was readily apparent. But the soldiers filling out the ranks of the opposition leadership were especially confounding. They included Senator Ted Kennedy, one of the nation’s most influential liberal lawmakers, his nephew Robert F. Kennedy Jr., a lawyer with the Natural Resources Defense Council and one of the country’s most prominent environmentalists, and Bill Koch, a billionaire fossil fuel energy developer, prominent funder of freemarket conservative causes and candidates, and twin brother to David Koch, a billionaire oilman from Kansas who was busy financing a radical anti-government, anti-environmental movement that came to be known as the Tea Party. A year ago, while serving as a communications consultant to a small northern Michigan utility, I smacked into the same trend, and it encompasses opposition to more than wind energy development. Traverse City Light and Power proposed to generate 30 percent of its power with renewable sources by 2020, and the utility’s board viewed a 10-megawatt, combined heat and power, state-of-the-art, clean-burning wood biomass gasification plant as a good start. It would employ 20 to 30 people, and cycle $4 million a year through the community that otherwise was being sent to Wyoming and Lansing for dirty, climate-changing, mercury-producing coal-fired power. The proposal was a no-brainer to me. But my views certainly weren’t as widely shared as I anticipated. Last June, after a fierce grassroots pushback, the utility abandoned the project. The experience, though, prompted me to report intensively on the civic fate of other clean and renewable energy projects around the country. I’ve collected my articles in a ModeShift special report that documents community battles impeding renewable and clean energy projects — wind, solar, geothermal, smart grid — in more than 30 states. I’m convinced that the opposition movement, which is national, growing, connected online, and sharing data and organizing techniques, represents a significant barrier to the clean energy industry’s development in the U.S. But I’ve felt more isolated on this point in the journalism and academic community than I expected. That’s likely because national polls, including one reported last week by Dave Roberts of Grist, consistently show that Americans support the clean energy alternatives. I’ve concluded, though, that when the theoretical becomes the actual, Americans are changing their minds about clean energy. Here in northwest Michigan’s Benzie and Manistee counties, where I’ve lived for almost 20 years, a Duke Energy proposal to build 112 utility-scale wind turbines has encountered serious turbulence from many people who I know personally and previously expressed strong support for clean alternatives. “Local opposition to wind development in the New American West is representative of broader shifts in the economic and aesthetic value of once historically “productive” rural landscapes,” she writes. The American wind energy industry, which has attacked Republican opposition to state and federal incentives, is not yet acknowledging the influence of its grassroots opponents. In October I called the American Wind Energy Association, and reached Denise Bode, the Washington-based trade group’s chief executive officer. I asked Bode what AWEA was doing to respond to the civic efforts to block wind projects. “What are you talking about?” she said before hustling off the phone. No doubt, in her private conversations with AWEA’s board and staff, there is considerable concern. The American Wind Energy Association reported earlier this year that wind energy generating capacity increased by just 5.1 gigawatts in 2010 in the U.S. That’s half of the generating capacity increase in 2009, and less than a third of the 16.5-GW increase in wind generating capacity built last year in China. (see pix above from northern Gansu Province). The Washington-based trade association faulted political uncertainty about federal and state incentives, roiled financial markets, and diminished interest by the nation’s utilities to commit to wind. The association didn’t mention the increasing grassroots resistance to wind power in rural areas.